CLEAN CARFAX, CARFAX ONE OWNER, Bluetooth/Hands Free Phone, Bluetooth For Phone, Brake assist, Electronic Stability Control, Exterior Parking Camera Rear, Preferred Equipment Group 1LT, SiriusXM Satellite Radio.Stew Hansen Dodge Ram Chrysler Jeep RAM is proud to offer this outstanding 2018 Chevrolet Equinox. LT FWD26/32 City/Highway MPGCall now to get special offers and VIP treatment from our internet division. Please contact us today at 1-888-993-8282. Remote Start, LEATHER, NAVIGATION, CLEAN CARFAX, Bluetooth/Hands Free Phone, 8 Diagonal Color Infotainment Display, Blind spot sensor: warning, Bose Centerpoint Surround Sound Premium System, Brake assist, Electronic Stability Control, Exterior Parking Camera Rear, Heated Driver & Front Passenger Seats, Heated front seats, Navigation System, Preferred Equipment Group 2LZ, Radio: Chevrolet Infotainment System w/Navigation, Rear Parking Sensors, Single-Slot CD/MP3 Player, SiriusXM Radio, USB Port.Stew Hansen Dodge Ram Chrysler Jeep RAM is honored to offer this terrific-looking 2019 Chevrolet Impala. Premier FWDCall now to get special offers and VIP treatment from our internet division. Please contact us today at 1-888-993-8282. 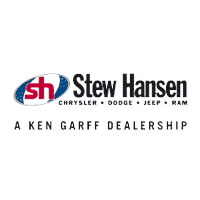 LOW MILES, LEATHER, ONE OWNER, CLEAN CARFAX, CARFAX ONE OWNER, Bluetooth/Hands Free Phone, Sirius XM Satellite Radio with Free 1 year XM Access, Navigation System.Stew Hansen Dodge Ram Chrysler Jeep RAM is pumped up to offer this outstanding 2018 Chevrolet Silverado 2500HD. LTZ 4WDOdometer is 2777 miles below market average!Call now to get special offers and VIP treatment from our internet division. Please contact us today at 1-888-993-8282. Remote Start, CARFAX ONE OWNER, Bluetooth/Hands Free Phone, 100-Watt 6-Speaker System, 8 Diagonal Color Infotainment Display, Exterior Parking Camera Rear, Front dual zone A/C, Power driver seat, Preferred Equipment Group 1LT, Radio: Chevrolet Infotainment System AM/FM Stereo, SiriusXM Radio, USB Port.Stew Hansen Dodge Ram Chrysler Jeep RAM is very proud to offer this good-looking 2019 Chevrolet Impala. LT FWDCall now to get special offers and VIP treatment from our internet division. Please contact us today at 1-888-993-8282.